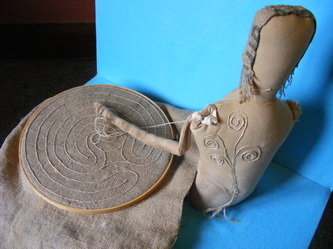 gave me one of the primitive dolls she creates. This one was a blank canvas, ready to clothe. which is coffee stained to give a wonderful patina. This doll was on a journey. 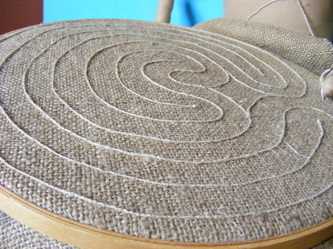 So I stretched some old burlap into a recycled embroidery hoop. 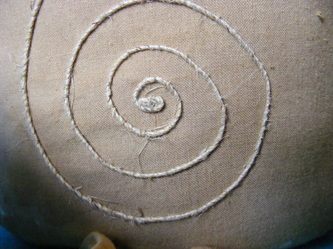 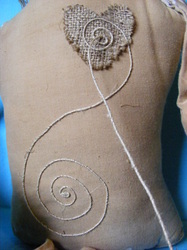 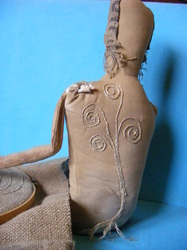 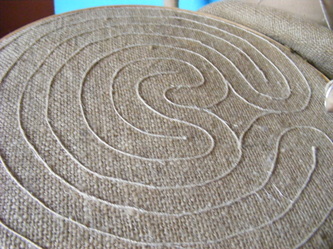 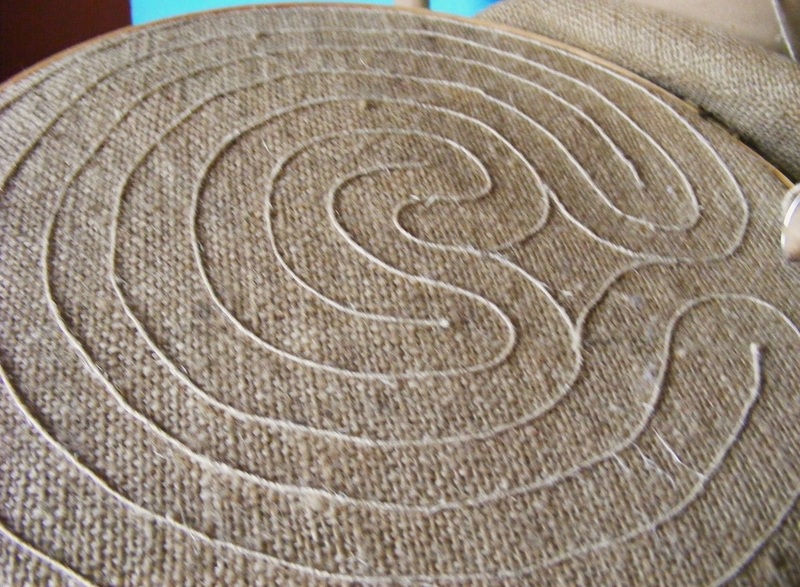 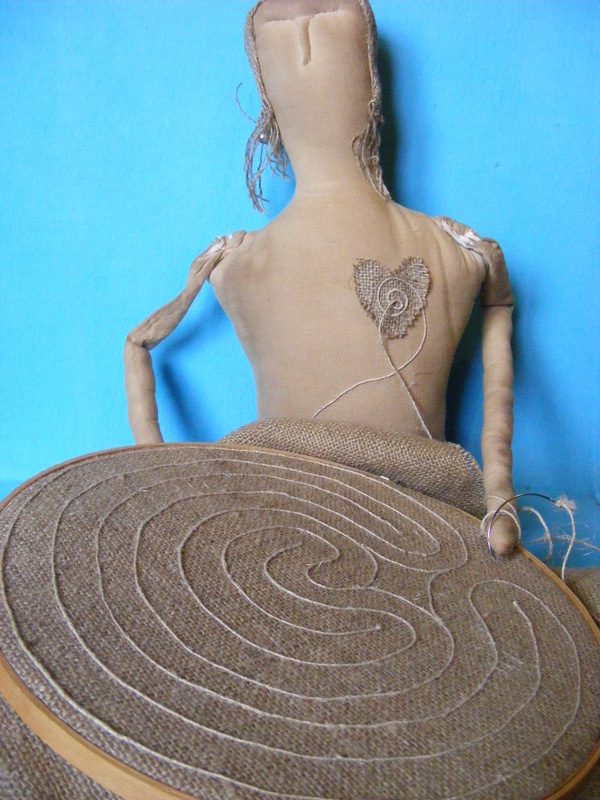 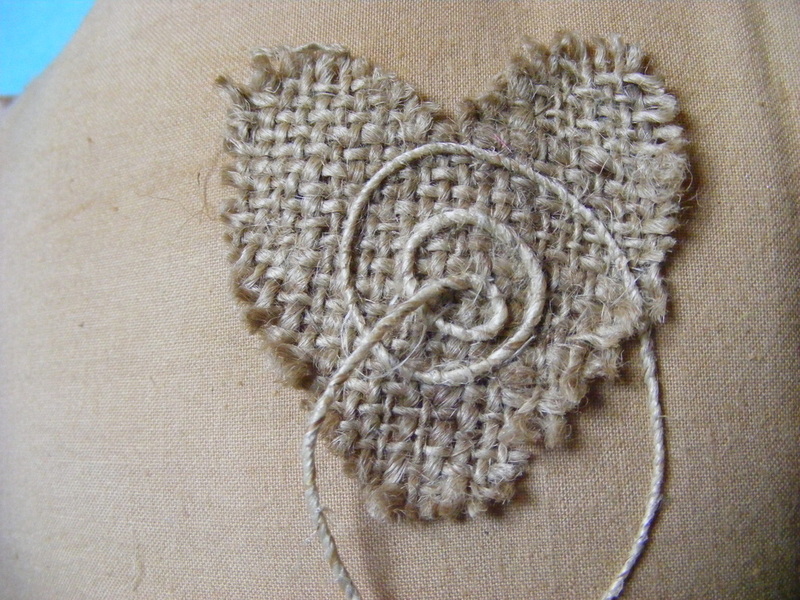 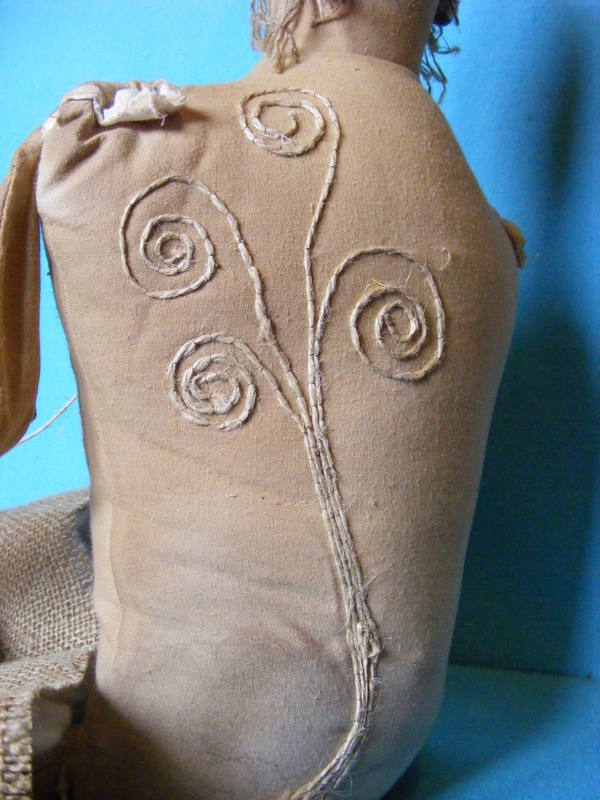 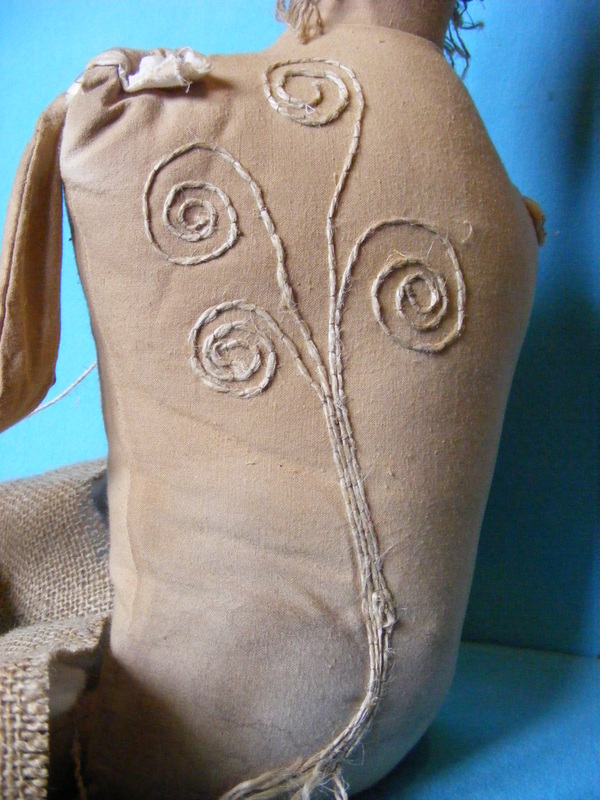 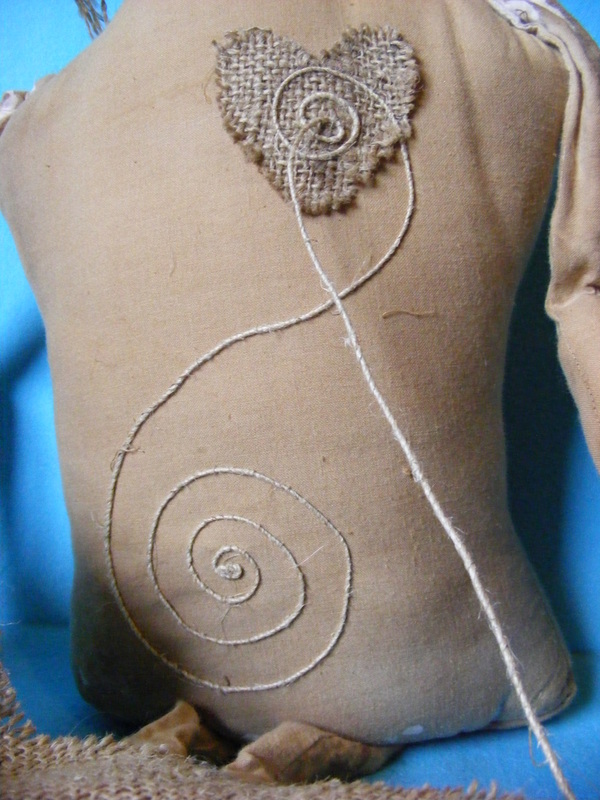 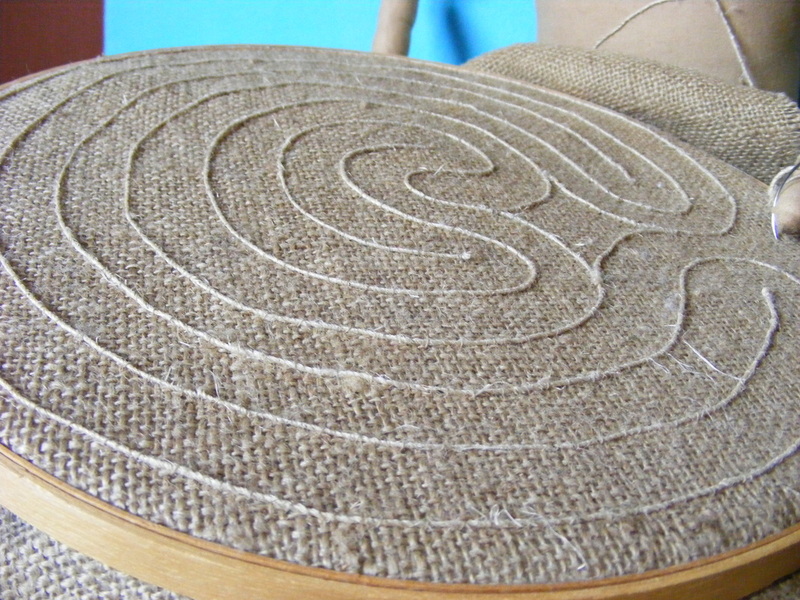 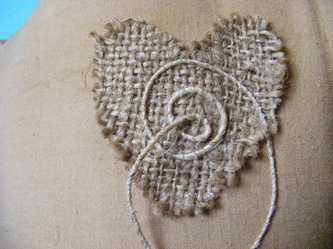 Using natural hemp, I embellished the doll with heart and soul and spiral, and continued on to stitch a seven-circuit labyrinth on the burlap. 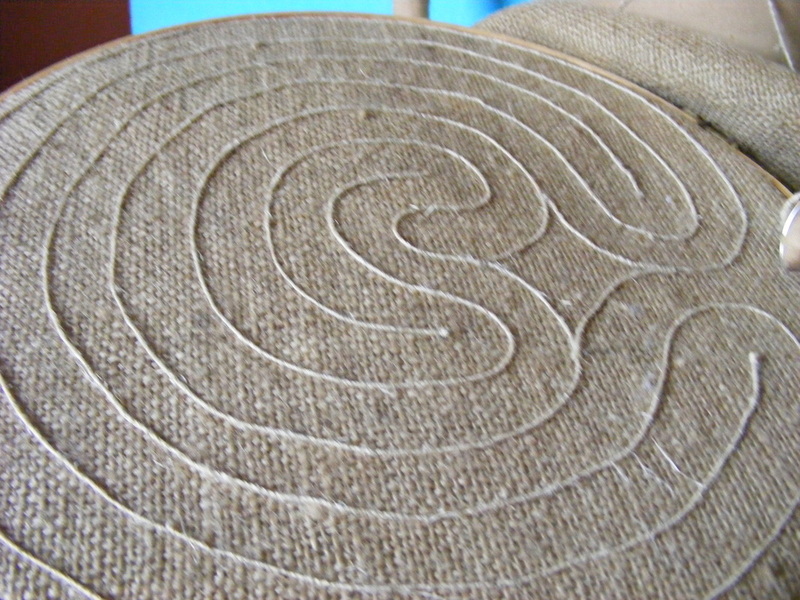 Joyce Rupp recommends that we walk in a relaxed manner. slowly, slowly, one stitch at a time.